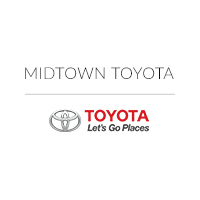 Though we have a great selection of new vehicles at Midtown Toyota, some customers come into our dealership with specific requirements to lead them to that special vehicle or two for them to consider. Our Toyota dealership in Chicago is glad to help these customers pair themselves with the perfect new Toyota car on our lot. For example, the families that come over looking for a new minivan that will fit all of their passengers and cargo with plenty of comfort and safety features will usually ask about the 2017 Toyota Sienna, which we are always happy to show off. This minivan comes in five trim levels, including the L, LE, SE, XLE, and Limited. It is powered by a 3.5-liter V6 direct-injection engine that puts out 296 hp. The features inside this minivan give you even more luxury than you would expect from a family vehicle. There is an available dual moonroof to give your passengers a view of the sky or some fresh air, and the available leather seating will provide comfort for all. This Toyota model can adapt with your family as well with flexible seating options to give you more room for cargo or seating when needed. To keep your backseat passengers entertained, the available Dual-View Blu-ray Disc™ Entertainment Center will give them a 16.4-inch color display, a remote, two wireless headphones, and more to enjoy their favorite movie out on the road. The standard three-zone automatic climate control will help to ensure everyone inside the Toyota Sienna is comfortable. When we talk about a family vehicle like the Toyota Sienna, we have to mention the safety. Every trim level comes with the Star Safety System™ that includes six active safety features, including Enhanced Vehicle Stability Control, Traction Control, an Anti-lock Brake System, Electronic Brake-force Distribution, Brake Assist, and Smart Stop Technology®. Don’t forget about the available Pre-Collision System. This system uses radar to help determine if a frontal collision is imminent, and if so, will automatically apply the brakes and retract the front seatbelts to help reduce the effects of the collision. The available Safety Connect® offers drivers Emergency Assistance, a Stolen Vehicle Locator, Roadside Assistance, and Automatic Collision Notification. It has a one-year trial subscription so owners can make sure they love the features before they fully commit to it. Our Toyota Care will also help to keep everyone inside this vehicle safe by offering a no cost maintenance plan for the first two years or 25,000 miles of ownership or lease of the model. If you want to see what the Toyota Sienna can offer you, we invite you into our Chicagoland Toyota dealer for a test drive. We are located at 2700 N Cicero Avenue. We also have many other new Toyota SUVs and pre-owned Toyota cars to give you plenty of options to choose from. Our team wants to ensure you find the Toyota in Chicago, IL that fits all you are looking for and more because our number one concern is your satisfaction. We want to make sure you drive off our lot in the new Toyota car of your dreams, whether it is the Toyota Sienna or 2016 Toyota Corolla.